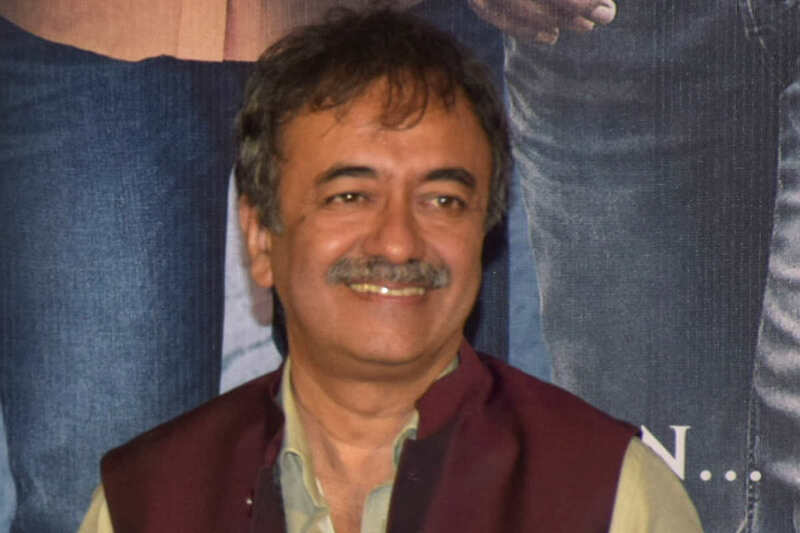 Director Rajkumar Hirani has made some of the best films in Hindi cinema — from the wonderful Munna Bhai series, to the incomparable 3 Idiots, and the fabulous PK – and no matter what his subject matter, he always manages to bring light and positivity to the movies. I was very honored to be able to interview Rajkumar Hirani one afternoon last week over Skype. 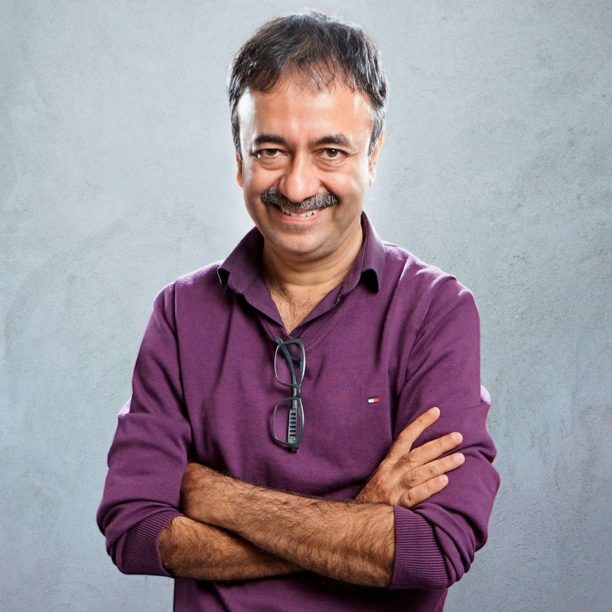 We had a fascinating, wide-ranging talk about his film, about Ranbir Kapoor, about Sanjay Dutt, and it became an amazing conversation about cinema. I loved every moment of talking with him and I hope you will enjoy reading our conversation! My first question is why was it that movies were what you had to do as a career? I think it is the best thing in life to do! You know, the sheer joy of getting up in the morning and saying this is an idea that you want to take on to the screen. The sheer idea of creation. It is a lot, you know. It takes a tremendous amount of patience from taking that word on that script to the final screen. In fact, it is usually 3 years but you wait for that final year to come and when we screen the film for the first time for all the crew that have been working on it for the 3 years, there is nothing but tears of joy. I can’t do anything else. I can’t imagine it. You make me sit in front of a tablet for 5 minutes and I won’t get out of that room. I don’t know anything else but that ideas excite me. I guess for me this gives me joy – for somebody else, something else might be joy. I am happy to be doing and to be spending my life making films. It gives me tremendous joy. 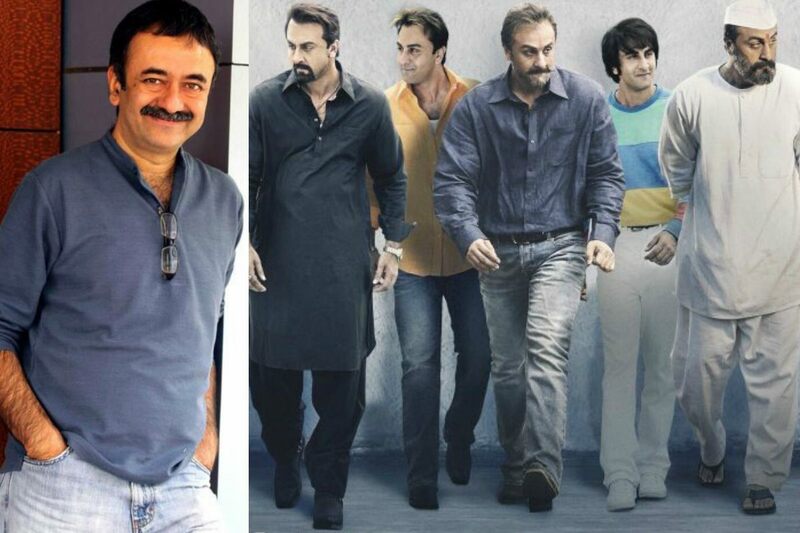 What was it that made you say I want and need to make this film about this life of Sanjay Dutt? 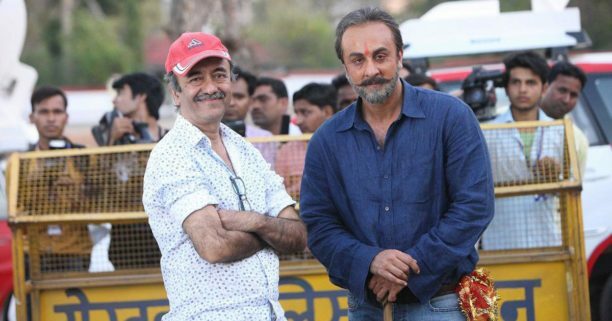 I have worked with Sanju in films before this, as you know, but I never was a friend to him. He was an actor who came on the sets and we worked. We had a very cordial relationship but we just worked and we both went home. We never partied together or hung out with each other together so I knew about him as much as the world knew about him. When Sanjay was going to jail, his wife told me once why don’t you make a film on Sanjay Dutt’s life? My first reaction to that was no, that is not my world. That is not the kind of cinema I like. My reaction was his life is about drugs and guns and going to jail. That is not my world – I want to make happy, positive films. So we got nowhere. Then he was out for a few months on parole and I went to meet him. He started talking about his life in jail, what he was going through in jail and for the first time I felt like he was sitting and talking the truth. Every word seemed truthful, but every word that came out seemed so amazing I couldn’t believe that somebody would have had a life like this. I stayed with him for over 8 hours that day. I came back home early in the morning; I was editing my last film PK then. He called me the next day and said what are you doing, come here. That one meeting with him one day turned into sitting with him for 25 days. Every evening I used to go to his house at 5 and come back home at 3 in the morning. At one point I brought a recorder and started recording it. He didn’t blink an eye. He didn’t worry about it. He spoke from his heart. Then Abhijat Joshi, who I write with, I called him and we both sat with him. There were just stories that I just couldn’t believe. We cross-checked with his family, with the cops, with some lawyers, with some journalists and it all seemed to be more or less true. I said this is a fascinating life. Let’s take it up as a challenge because usually films are about heroes. Here this was not a film about a hero this was actually about a guy who has squandered away his life, about a loser, but there is so much to learn from his life. How a father stood by him, how his family stood by him and got him out of all those things – I started seeing the role of his father in his life, one very close friend (who stays in LA and how he helped him). See we got completely awestruck by that life and I should say very greedy. I was writing another script and I said okay, this guy has written the script for us let’s go ahead and make it. We jumped into it straight away. What was the most challenging thing about making this film? I think the most challenging thing was to get Ranbir to look like him slightly. It is his [Sanjay Dutt’s] life from the 80s when he did his first film Rocky; he was about 21 there until he came out of jail when he was about 56. See, if you do a biopic about a historical character of somebody whose face you don’t know so much you can still get away with casting an actor and saying okay, this is an actor who is so and so. But here, you are doing a biopic of a film actor who is still alive. Who is still making films, whose face is so known – so you can’t take an actor who doesn’t resemble him at all. So, we had to find somebody who resembles him to an extent to make-believe or believe that this is him. Even when I spoke to Ranbir his first challenge to me was how will I look like him? It is going to be a whole journey of this man, how are we going to do that? So I said, let’s start this journey, let’s spend a couple of months and see if you can look like him. If you can, we will make this film. If you can’t, we won’t make this film. Ranbir jumped into it so enthusiastically. He put on 20 kgs to play this role. We shot the film in reverse. We shot the oldest portions first, then we would take a month and half off and he would lose 5-6 kgs then we would shoot the next portion, then 5 more kgs and the youngest portion was shot last. The good thing is that he has known Sanjay Dutt from his childhood. They both came from film families. 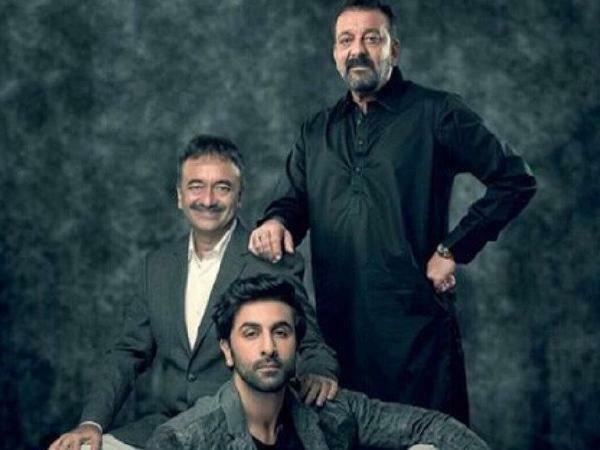 The parents of both Sanjay Dutt and Ranbir are actors so he had lived in that world. So, it was easy for him to imbibe that film world. He spent a lot of time with him. He got all these stories from him. He used to work out in his gym. I once peeped into his phone and he had all these things of how Sanjay looked in the 80s, how he spoke, how he gave his interviews. How he looked in the 90s. Then he started doing small, small things, about which he said – I want to do them. I don’t know if they make a difference, but I want to use the same perfume he used, I want to wear the same watch, I want to have the same heel in my shoe to get that walk. He really started living that role for a few months. While we were on the sets he was pretty close to how Sanjay Dutt looked. It is about his life and what he went through but it seems to me it is a story about relationships more than anything; would you say that to be true? Yes! To me, it is absolutely a story only about relationships. Because that is not how Sanju’s life is known. He went into drugs, he sunk into the deepest bottom of taking drugs and every possible drug and his life is about how he came out of it. He was in Miami in rehab for a year and a half, then he ran away from rehab and he walked 2000 kilometers to New York to meet his friend. He begged on the streets. So he did these crazy things. Then he picked up a gun in the 90s and was arrested for that as being a part of the conspiracy. He fought that battle for 20 years and finally they said okay he did have a gun. Now these are the stories that the world knew. But what was happening in that house, they didn’t know. How was his family dealing with it. How a father was fighting a battle. How he, on the streets, would be called a father of a terrorist. To me, that was fascinating and I got to hear all this from the family. This film, when you see it on the screen, is predominately about what was happening, but I will tell you, it becomes the backdrop, it is more how the father dealt with him, or his friends stood by him – that is the story. Where you nervous to show it to Mr. Dutt? I will go back a little bit. When he first narrated the story over the 25 days, and at the point we decided to do the film, I told him I am not going to hold back – if you have any issue about any story, which you have told us, and you don’t want to do the film – I don’t want to make this film. I need to be completely freed up to do this film. And he was very brave, he said you know my life is an open book. I served 5 years in jail and now I don’t care. Go do what you want with my film. I had complete freedom to do what I want. But in the journey when I finally made the film I kept on calling him and saying come and see some rushes, come and see what we have done. He came on the sets twice because he also happened to be shooting next to us. So when the film got ready my biggest worry was (and I was very anxious) that now he is going to see it – I am going to show him in the film where he talks about the 300 women he had relations with and it will talk about the drugs he did and it will talk about the gun he kept… I thought he was going to get up and shoot me out! I sat one seat away from him so while he was watching the film, I was watching him. I said any risk, I run. (Laughs) I realized as I was watching him that he was trying to hold in his tears because he saw his father’s death in the film, he saw his mom dying, but the time the film ended he just started sobbing. He is too much of a macho guy and is one you never see cry! He broke down and he gave me a hug and he wouldn’t let go. He went away and he told me I have not slept the whole night. I have just been thinking about it. People are calling him about it. At the moment he is a very happy man. That must make you happy! Yes, it does make me very happy! It certainly is doing amazingly well at the box office worldwide and the audience is loving it! I am terrible with numbers, I don’t understand numbers, but what has excited me is the amount of love that the film is getting. People are giving it standing ovations. A friend of mine called me up and said my son watched the film and for the first time in his life, at the airport, he picked up my bag and told me ‘Dad, let me pick it up’. To me, that matters the most – these kind of reactions that we get. That is just exciting. As you said you talked with him for that 25 days so there must be much more to the script, can you see another film in the future? You know I don’t think I actually used 10% of his life, of what he told me, because in a biopic you really can’t say everything – you have to pick and choose. But I don’t think, now, I want to do anymore. Now I want to do some fiction! What to you makes a good movie? I don’t think there is any formula, which can say this makes a good movie. I think the best way to go about a film is to believe from within and make a film for yourself. Make a film only for yourself because if you are making it for yourself then something has caught your fancy., something has engaged you, some idea; and then you hope for the best that it engages everyone else. I just make an engaging film. I don’t just make them laugh, I just make an engaging film and take them through a journey of some emotion. Even if you make them cry, they will love it. Even if you scare the hell out of them in a horror film, they will still love it. You have to catch onto some emotion, which engages them. I just make an engaging film and a unique film. What are your thoughts on the Hindi films of today? I think it is the best times we are living in when I was growing up watching films in college I guess all we saw was very typical either a love story or an action film. All of them seemed the same with 5 songs and there wasn’t any difference. But today you actually see such a variety of films. Smaller films with very different stories. Not every story is a love story, people are challenging the boundaries and trying to do great stuff. All kinds of cinema are coming out of India today. I think it is very exciting times. At least every filmmaker, whatever he wants to do, he is able to do that. Ahhh… that is the question now. We have some ideas, one is the Munna Bhai idea and one or two others but we are working on it – nothing decided yet. Let’s see, in the next few days Abhijat and I will take off somewhere and jam over it and we will see what we want to do. 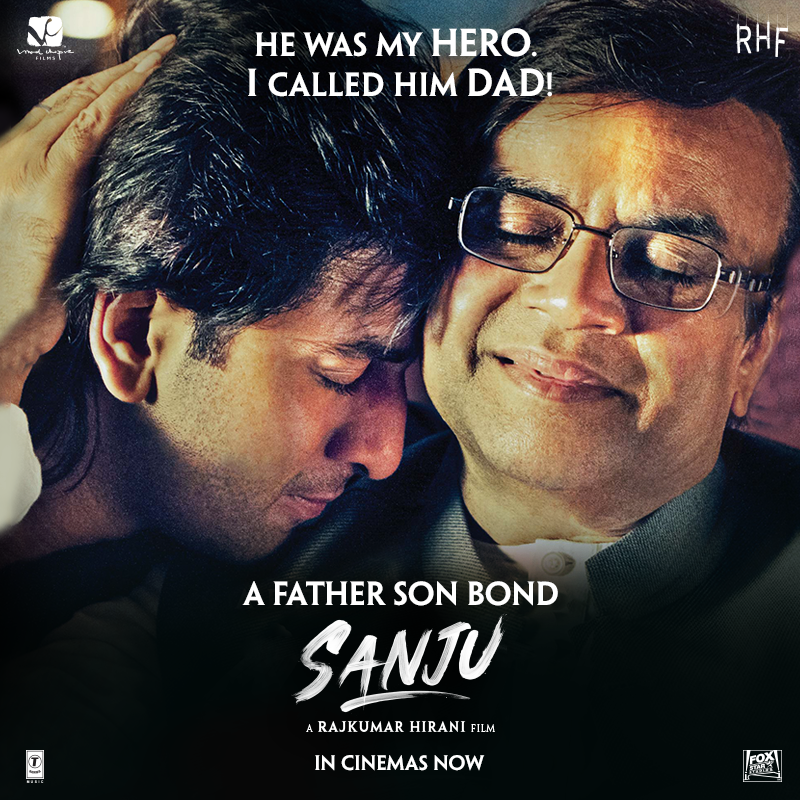 Sanju, which also stars Paresh Rawal, Manisha Koirala, Anushka Sharma, Sonam Kapoor, Dia Mirza, Vicky Kaushal, Jim Sarbh and Boman Irani, is in theaters now! I loved it and say it is one not to be missed, especially for the stories of the relationships and even move for Ranbir Kapoor’s brilliant standing ovation worthy performance. 16 queries in 0.485 seconds.